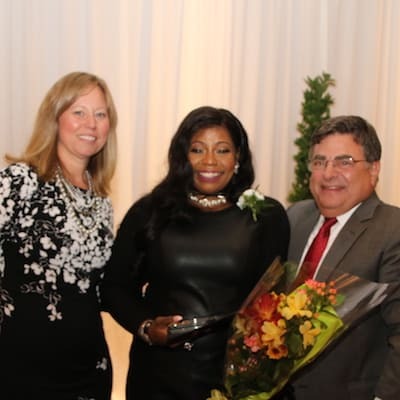 No matter whether she’s at home or at Brentland Woods, Renada Dixon cares about her family, which includes the residents at Brentland Woods—just one of the reasons she was named the Catherine Johnson Caregiver of the Year in 2017. 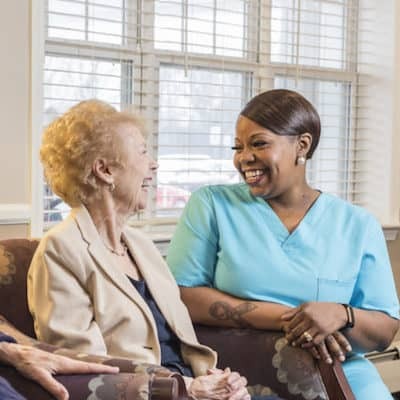 She’s been with Brentland Woods for five years, but Renada got her start as a server at the Episcopal Church Home, and working with Episcopal SeniorLife Communities seems to run in her family. 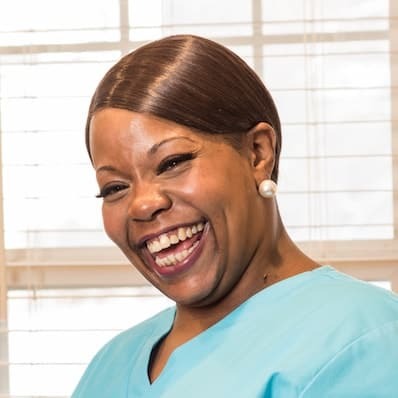 “My brother Ronald works in the dietary department at the Church Home, and my brother Marvin is a sous chef at River Edge Manor,” says Renada. Family is simply the most important thing to her. “I treat every resident like they‘re my mom or my grandma,” says Renada, who mentions she’s noticed her own mom getting older, and wants to do the best for her. 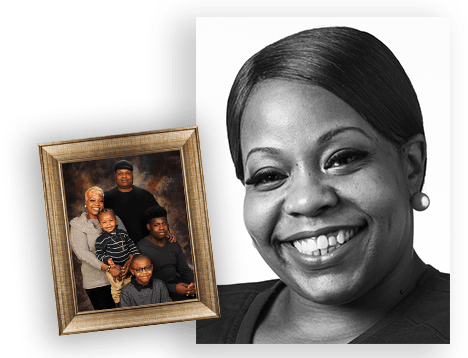 Renada is engaged, and has three sons, ages 14, 9 and 20 months. Her mom helps with childcare, which allows Renada to pick up occasional evening shifts, even after she’s worked her regular day shift. “I go over and beyond in my work. It’s just who I am,” she says.